The Great Run Series 2017 | JustRunLah! 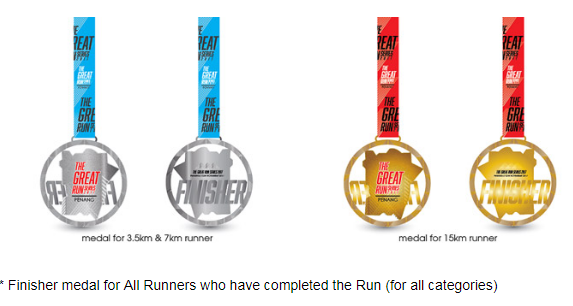 The Great Run Series are the first ever run to be held in Malaysia. George Town, Penang will be the 2nd venue in Malaysia to have this years run after Setia Alam, Selangor. This run will be held annually in 3 Cities such as Setia Alam, Georgetown & Johor Bharu. Since the running activities has grown by leaps & bounds and is growing popularity amongst the communities not only the Malaysian vibrant running community, but foreign runners who works in Malaysia. The Great Run Series is aimed to emphasize healthy living and to bring together communities in support of a good cause and to support run as a sport which helps to foster the spirit of friendship, unity, family and community involvement. Family fun run Rm 200 for how many person?